One of the first rules of web copywriting is to use plain English, to give every reader the best chance of understanding your content. Your website is available to the entire world and will have visitors who have a first language different to your own. Don’t forget, however, that native speakers also have differing reading and writing abilities. Writing in a simple, clear style benefits all users; it makes your website easier to read and understand (communicating your messages more effectively). Concise copy fulfils accessibility requirements for both people and search engines, making your website also easier to find. 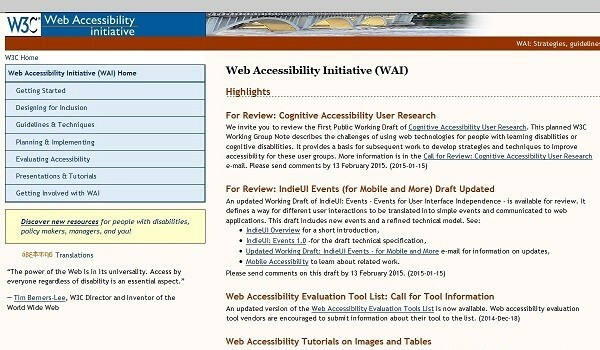 The W3C’s WCAG 2.0 has a reading level criterion that says if the ‘text requires reading ability more advanced than the lower secondary education level’, a version that is not more advanced should also available. This caters for ‘people with reading disabilities [which may include highly educated members of the intended audience] while also allowing authors to publish difficult or complex web content’. Accessibility – but at what cost? I was recently asked to take a look at a colleague’s new company website. They’re using a digital agency to redesign the site for a modest, but not insubstantial, sum. She is new to managing websites and is relying on the agency to provide recommendations regarding site content, including its structure and presentation. As the project is coming to a close, I was surprised to hear that she had been given no advice regarding, at a basic level, suitable alt tags for images or text layout. This would have taken the agency only a couple of minutes to explain and improved the accessibility of the site for many users. So why didn’t it? The site was also lacking basic nagivation and orientation features, such as a breadcrumb trail. Which leaves me wondering, how many other digital agencies are charging their clients for basic advice they’re never receiving?